While attending one of the many midnight launches this month, I decided to get reacquainted with Rayman Legends at GameStop’s Wii U kiosk. This is a game I absolutely adored back at E3, though I haven’t had the time to play it since then. It’s obviously been a while since I’ve had my hands on with the title, but seeing as how the game won’t be coming to my Wii U console anytime soon, I decided to check out and see if it’s as good as I remembered. Rayman Legends is better than I remembered. Sure, I’ve gotten to enjoy SimCity (when I’ve been actually able to play the damn game) and became reacquainted with StarCraft II thanks to Heart of the Swarm, but there’s something else that’s calling for my attention. That faint red light on the black console occasionally catches the corner of my eye late at night while I toss and turn. My Wii U misses me, and I miss it back. In fact, just the other night I brought it over to a friend’s place and we enjoyed some quality Nintendo Land time. 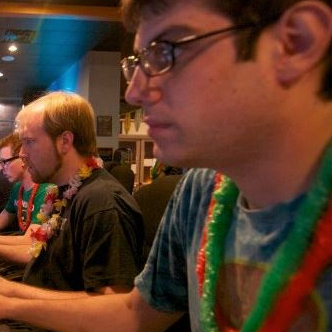 We didn’t, however, enjoy some quality Rayman Legends time. We should have, but we didn’t. The moments that followed my playtime with the demo’s two levels have haunted me since that night. It was around 10:30 at night. What was supposed to be a busy launch night was rather quiet. Sure, you might say it was early, but God of War: Ascension had a fair amount of pre-orders at my local GameStop. So while I was chit-chatting with the store’s manager, I decided to whimsy on over to the Wii U’s kiosk and pass some time. Sadly, there’s still no LEGO City Undercover demo available, and I already own New Super Mario Bros. U. Rayman Legends became my only option. Curious to get myself reacquainted with the game I should be playing, I booted up the demo. 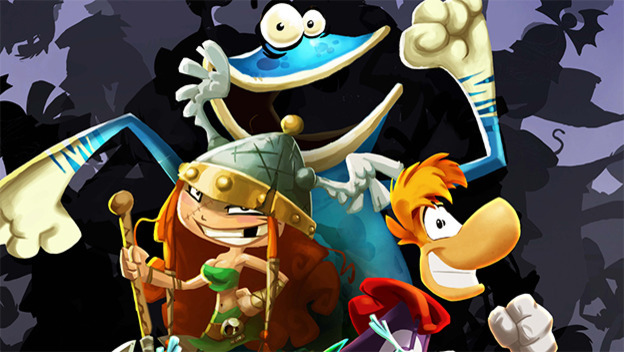 Rayman Legends is really, really good. 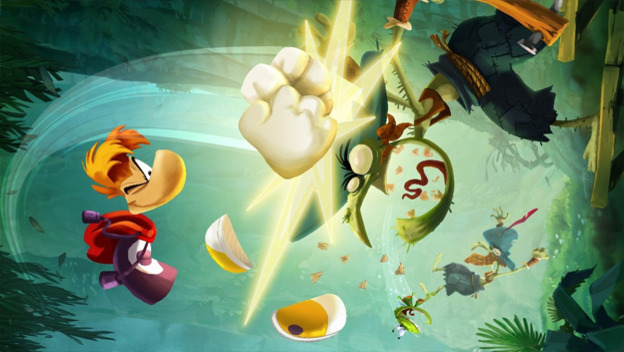 I know there’s a lot of flak in the world of games journalism when it comes to previews and how they are free PR for publishers, but make no bones about it: Rayman Legends is a fantastic game and it will take one colossal catastrophe to mess this up. I played both of the demo’s levels. I’ll admit that the gameplay’s formula is exceptionally simple, but when platforming is merged with the Wii U’s GamePad, things are taken to a whole new level. I had become blind to the fact that I was playing a demo for a game that should have already been on store shelves. “Oh hey, this is ‘Black Betty,’” I thought to myself as I guided my character along with the stylus and touchscreen. My foot began tapping and my head was slightly bobbing in rhythm to the music. I was mouthing the lyrics as well. Thankfully, no one was able to see me. I don’t think so, anyway. I guess it doesn’t matter that much, as I was having an absolutely fantastic time. It’s one thing to enjoy the fifteen minutes or so you spend with a game demo, but it’s another when that becomes the highlight of your night. As the demo completed and the characters celebrated on screen, I finally began to realize the gravity of the situation. My smile turned into a frown, my elation into depression. I even told the store manager that I had made a mistake. He simply shook his head, suggesting I had brought the misery upon myself. This only served to remind me just how badly the delay of Rayman Legends still hurts. The fact that the game is still coming to the Wii U and will still feature all the Wii U-exclusive gameplay involving the GamePad is more than enough proof that this isn’t the end of the world. Rayman’s absence will give us the time to check out LEGO City Undercover, which looks quite enjoyable. Heck, I’m even taking the money I had saved away for Rayman Legends and will use it to purchase Need for Speed Most Wanted U in hopes that the Wii U’s exclusive features can sell me a game that I didn’t necessarily enjoy the first time around. So in the short term, the delay is a good thing, as I’m now able to enjoy other games I wasn’t necessarily giving the time of day before. But, man, September feels like such a long way away for Wii U owners.